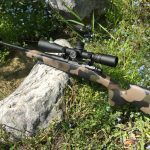 You may notice when you see a stock from a big name company that the camo or finish on it is not perfect. There are pin holes in the carbon fiber or fiberglass, The camo is (a lot of the time) done with a sponge. They still function perfectly and look good to most people. 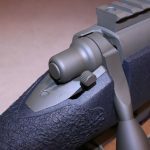 Sometimes a customer may want to use a factory finish to save a little money on the build…use that money for optics. 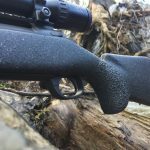 If you prefer to use a factory finish on your rifle build I understand and will still give it all the detailed attention you would expect! If you chose to go the extra mile on your build then I will take the stock down to its bare composite, fill and block sand all of the imperfections out until it’s a smooth blank canvas ready for the toughest finishes available today. I use chemicals that are well known in the firearms industry and some from the automotive and aircraft industry. 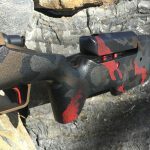 Crazy, classic or custom camo can be had on most quality rifle stocks, solid colors, two tones or a design that makes it personal. We can add a texture and or raised grip texture panels. If you prefer a classic black department (tactical) feel and look, then I have a finish that’s unbeatable. Pricing depends on time and materials. The department style finish comes in black only. Price is set at $225 for this service alone. Camo Patterns prices are from $300 to $500 depending on number of colors and pattern wanted.